1. Go to Create Account to display the Create Account page. 3. Enter the person’s information in the Patient Information section. Note: When necessary, the phone number or email address of the parent or guardian can be used in the above step and in subsequent steps requiring a phone number or email address. 4. Select the “I’m not a robot” box, enter the CAPTCHA information, and then click Verify. 10. Select your relationship to the patient, and then enter your information. 11. Click Continue to display the Set Password Page. 12. Enter a password in the New Password text box, per the listed displayed requirements. 13. Re-enter the password to in the Confirm New Password text box. 15. 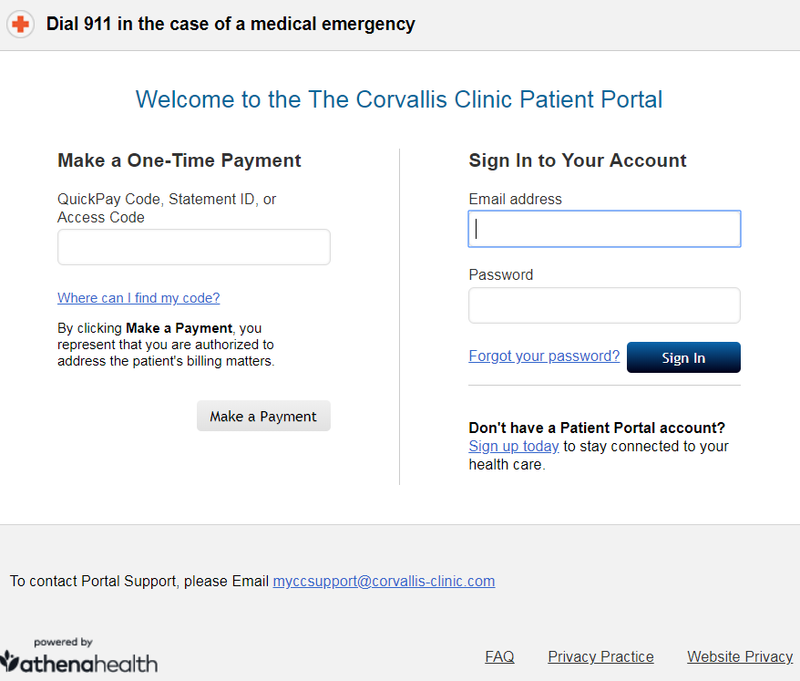 Click Continue to display the Patient Portal Welcome page. 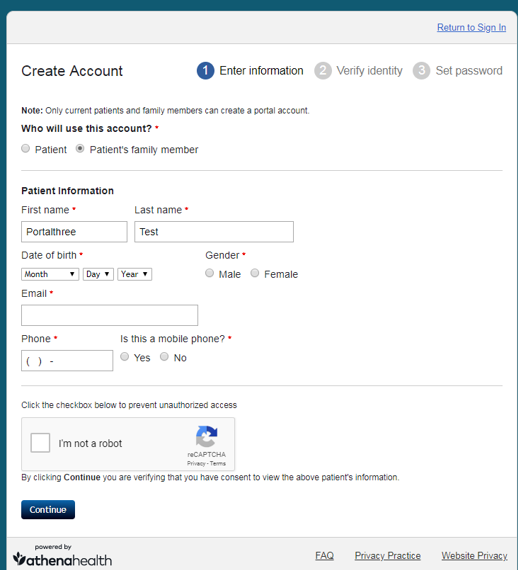 You now have a Patient Portal account with third-party access to your family member’s account. 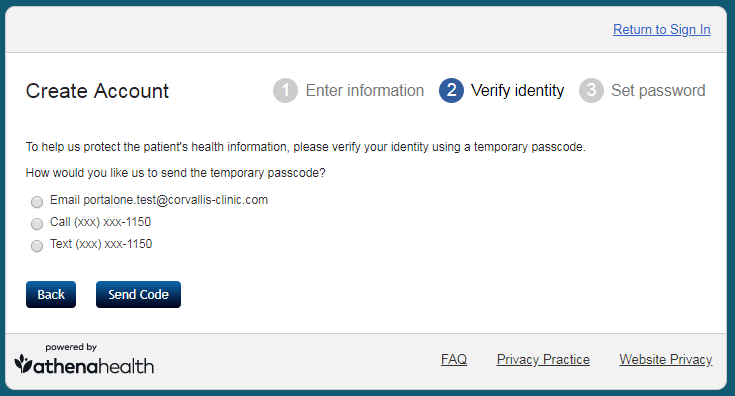 For instructions on how to add a dependent so you can view their health records, go to Adding Dependents on Patient Portal.